Description: City-wide undergrounding of FPL and other overhead utility lines and equipment, installation of decorative street lighting and the removal of utility poles. The undergrounding of overhead utility lines on FPL poles will minimize power outages due to extreme windstorm and hurricane conditions and improve the aesthetics of the City. Most of the existing poles and streetlights do not conform to the city’s streetscape plan. 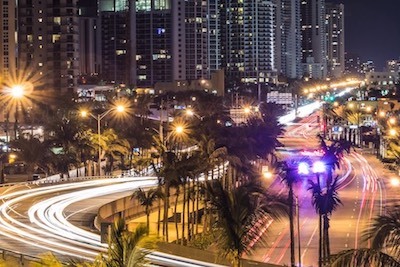 Description: The Collins Avenue Street Lighting Enhancement Project includes upgrades and replacement of landscape and streetscape lighting features along Collins Avenue. 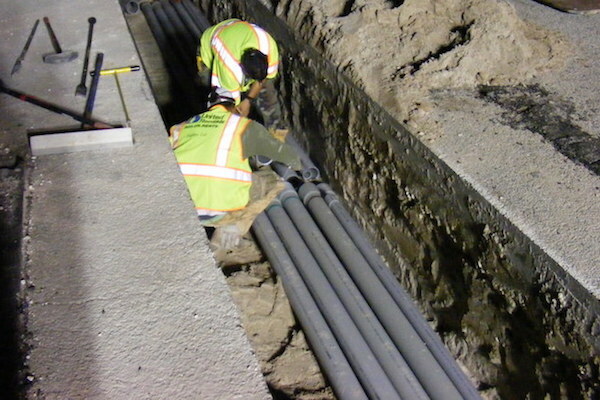 This project includes replacing the existing lamp posts with decorative lamp posts as well as adding more to provide a symmetrical layout on the east and west sides of the avenue based on light patterns. Location: Along 172 street, 182 Drive, 181 Street and North Bay Road. 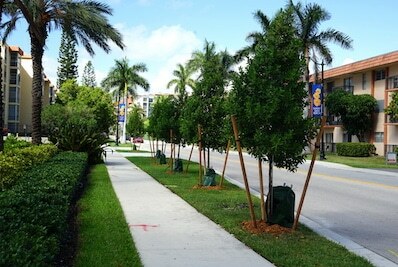 Description: The City was awarded a $14,000 grant from Neat Streets Miami which provides funds for municipalities and organizations in Miami-Dade County to plant trees. Over the summer of 2018, 49 trees were planted along 172 street, 182 Drive, 181 Street and North Bay Road. The purpose of this project is to provide a safer and enhanced pedestrian route as an option to Collins Avenue to improve the sidewalk experience, increase shade, lower sun exposure, and improve transportation.